Looking "where to sell my Shelby GT500KR?" Ask the Chicago Car Club! Are you wondering "where to sell my Shelby GT500KR ?" 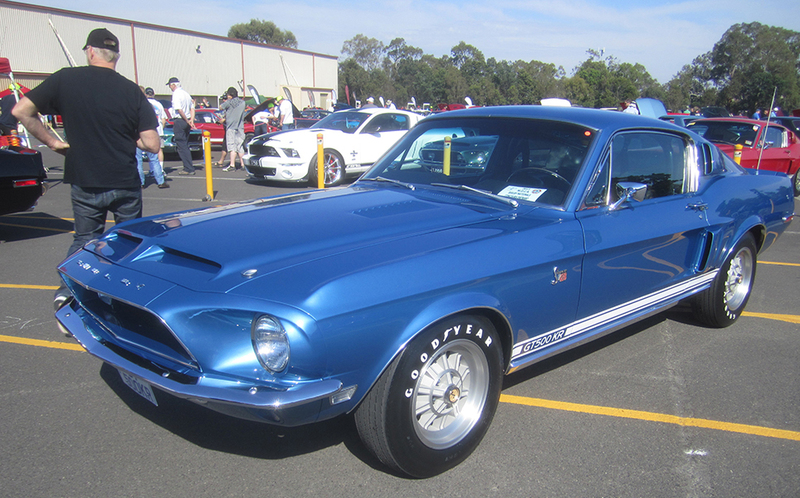 The Chicago Car Club is interested in classic cars of all makes and models, especially a Shelby GT500KR. We make the process of selling your Shelby GT500KR quick and painless. In just a matter of hours we will have your classic valued and, if you do so choose, turned into money in your pocket. All it takes is a phone call or electronic inquiry to get the ball rolling. For many the ultimate Shelby Mustang is the Shelby GT500kr or as known by some the Cobra GT 500kr with the KR standing for “The King of the Road.” The Ford Motor Company released in April 1968 at the New York auto show. The GT500kr continued to be produced until the Shelby line was terminated in 1969. A few GT500kr’s might have been released in 1970 but if the were these 1969 models would have the 1970 vehicle identification number on them. The Carroll Shelby was focused on having the fastest sports car. He was an extremely competitive. The reason Carroll Shelby introduce the “King of the Road” Mustang was that he learned that Chevrolet was planning on using the name for one of their vehicles. Shelby made it a point to produce a car with this name before anyone else had the chance to. GT500kr came stock with a 28-cubic-inch Cobra Jet V-8 engine. It produced an impressive 335 horsepower. The GT500kr could go from zero to 60 in 5.6 seconds and it could reach a speed of 102.73 while doing a quarter mile in 14.04. Many people felt the power of the engine was under reported. This high horsepower made the GT500kr a popular and common appearance at the drag strips across the nation. Originally the GT500kr was the GT500 with a different motor. Then a difference was made with the interior. The interior was completed with Black or Saddle upholstery, wood-grain trim, as well as inertia-reel safety harnesses attached to a padded roll bar, and a console with Stewart Warner gauges and Cobra embossed top. A few minor exterior changes were made. The Mustang lettering on the side of the car changed from block to script. Ford’s emblem became floating in the front grill. The GT500kr was made available in all three models, the convertible, hardtop, and fastback. The feature that made the Mustang the ultimate model for most consumers is that Ford allowed the dealers to offer more options at their locations as part of local sale promotions. These local specials created an abundance of limited editions. The 1968 Shelby GT500kr was and is a classic favorite. Carroll Shelby got what he wanted in the production of the Mustang GT 500kr. The GT 500kr was a hit with the consumers and it was a hit on the race track. The GT 500kr is still so highly regarded that a GT500kr sold for $230,000.